According to the Insurance Institute for Highway Safety (IIHS) and a recent article on MSN, shorter yellow lights can increase the risk of car accidents. 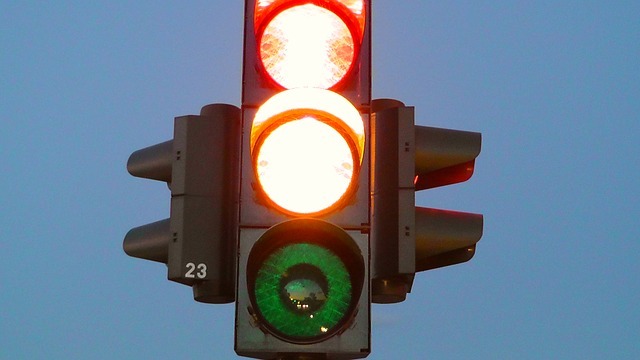 In Hollywood and other Florida cities, this may be an especial risk since many Florida municipalities have decided to shorten the amount of time allowed for yellow lights. Many drivers assume that traffic lights are constant and that the duration of the lights is chosen for safety. However, many municipalities can and change the duration of traffic lights. Many motorists want shorter lights because they are impatient at intersections. Unfortunately, research by the IIHS has shown that shorter yellow lights can lead to a greater risk of accidents. These accidents can be especially deadly because they occur at intersections. When car and truck accidents in Hollywood take place at intersections, they tend to be side-impact collisions and other types of crashes that tend to carry a higher risk of injury. These accidents also tend to be more serious because many accidents at intersections involve higher speeds and therefore greater force. According to the IIHS, running red lights causes hundreds of deaths and tens of thousands of injuries each year. Increasing the length of yellow lights by just one second, the IIHS reports, can reduce red light running by one third. Yellow lights, quite simply, give drivers more time to get through an intersection or stop safely. According to a recent item in Florida’s 10 News, Florida cities such as Tampa and others have been reducing the length of their yellow lights, because they are basing length on speed only rather than considering traffic and other variables. Some allege that the changes are meant to bring in more revenues from red light cameras, since reducing a yellow light by only 0.5 seconds doubles the number of people who can be caught by cameras running a red light. Have you been injured because of someone who ran a red light? There may be multiple liable parties in your case and your case may be worth more than you think. To find out more about your situation and your rights to compensation, contact Flaxman Law Group. As part of the Hollywood community, the attorneys at Flaxman Law Group are concerned about creating streets that are safer for everyone – and this means holding reckless drivers and other liable parties accountable for their negligence. Our attorneys have more than 60 years of experience and a track record that includes more than $100 million recovered on behalf of plaintiffs. The phones at Flaxman Law Group are staffed 24 hours a day, seven days a week, so you can always reach a live person. Contact the law firm today to schedule your free, no obligation consultation.